The Apivio MWP1100/A is a Wifi based SIP device with a slim form factor that is aimed to be portable and convenient/easy to use. 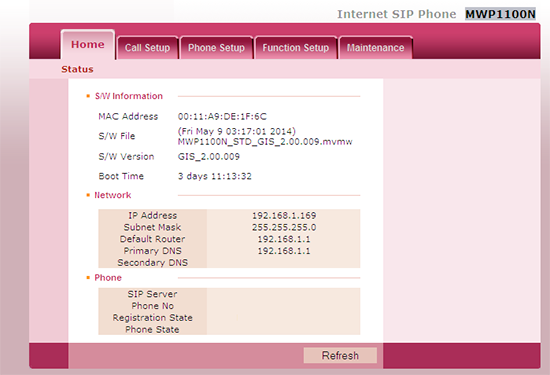 This device includes all of the features you would expect from your standard SIP phone plus an included web browser. 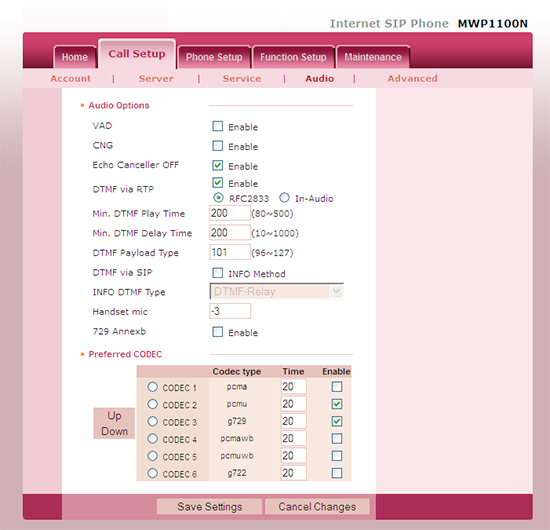 In this guide we will configure the MWP1100 through the web interface in order to register to your Callcentric account to place and receive calls. The information presented in this guide is based on Version GIS_2.00.009 of the MWP1100 firmware. If you are running a different firmware version some of menu options and settings may be different. This guide assumes that you have connected your MWP1100 to a wireless gateway, have a valid IP address, and that you have administrative access to the administration web interface. If you need assistance logging into the web interface for your MWP1100 web administration pages, please refer to the Web Setting section of the Apivio MWP1100(a) manual. 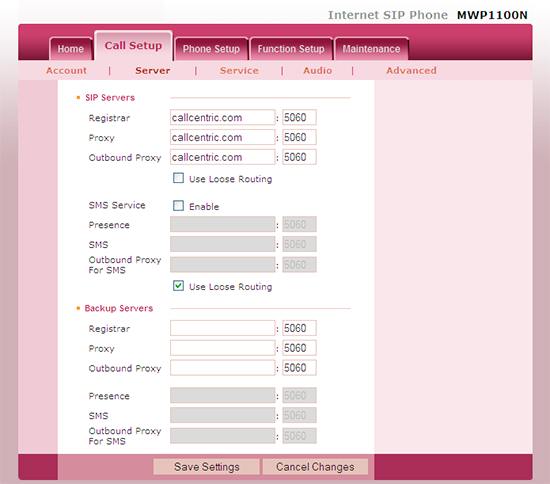 Log into the MWP1100's administrative interface and click on the Call Setup tab from the top menu bar. From there, click on the Account section of the interface. 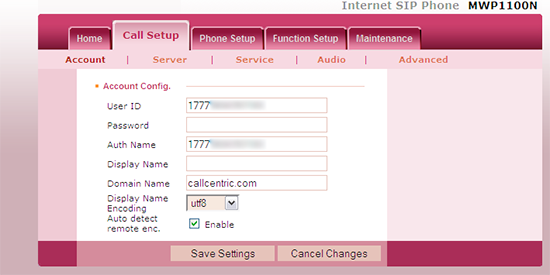 Auth Name This is either the default extension 1777MYCCID OR 1777MYCCIDEXT, where 1777MYCCID is the 1777 number assigned to you by Callcentric and EXT is the three digit extension you are trying to register this UA to. Next, click on the Server option on the sub menu. Please use the following settings, as indicated by the screen captures below. Once done please click on the Save Settings button.